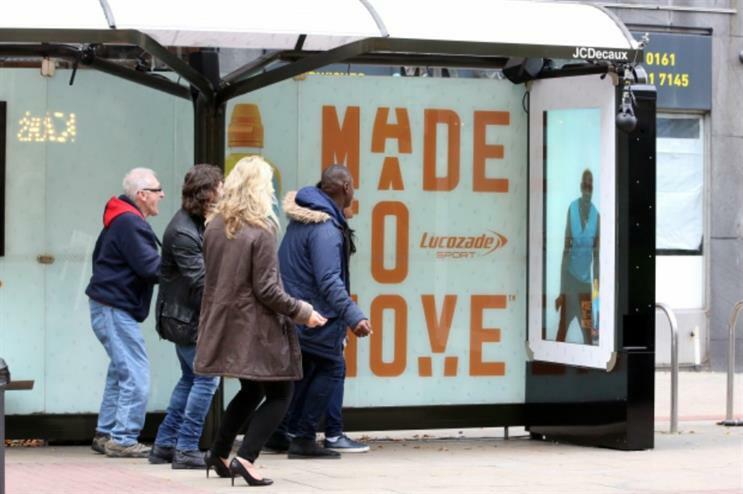 Lucozade Sport launched the first ever get-fit bus shelter in Manchester in an effort to get the nation moving. The bus shelter, which was installed in Manchester last week (14 October), showcased live streaming capabilities so a fitness trainer could take the general public through a work out whilst waiting for their bus. Rather than sitting down or standing still, those waiting were taken through exercise routines ranging from Zumba to Boxercise. Participants were rewarded with a new look Lucozade Sport Body Fuel or Low Cal drink dispensed through the bus shelter. Steven Hind, head of marketing at Lucozade Sport, said: "It was great to see the "wait training" in action. Transforming a bus stop shelter into a live interactive exercise area was a great way to show our ongoing commitment to achieving our target of getting one million people moving more by 2020." The activation was part of Lucozade's recently-launched Made to Move campaign championing sporting and active lifestyles. The activity will involve a £5m investment by the brand, with almost 16 million 16-34 year olds being exposed to the campaign. In September, the brand hosted a run with 300 members of the public across Hampstead Heath in London with the current IBF Heavyweight World Champion boxer, Anthony Joshua. The brand is currently running Made to Move sessions, hosted by influential sport and fitness ambassadors. Members of the public can participate in these training sessions through live online streaming or in person at Pure Gym facilities. The brand also activated at this year's London Marathon.